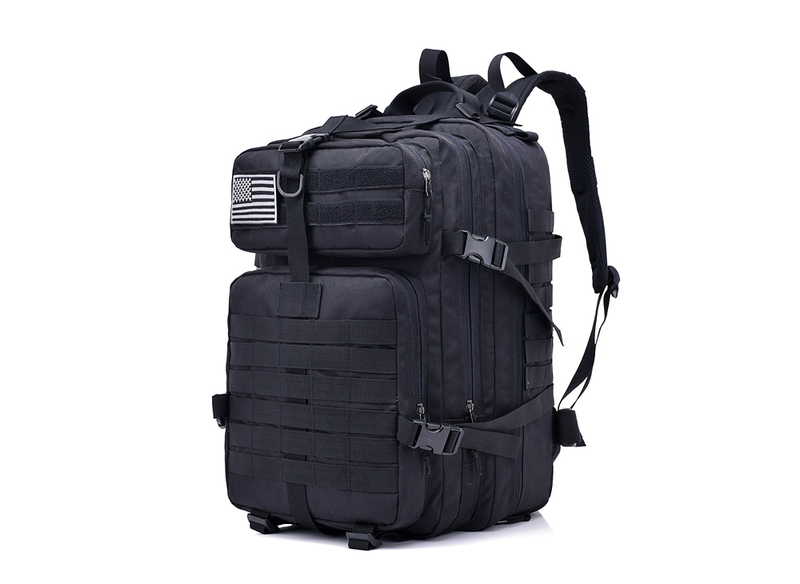 Military Outdoor Tactical Backpack with Hook-and-loop Fastener FK9252 40L 900D Black is ideal for soldiers' tactical or war-game use, for wild adventure, riding, hiking or other outdoor sports. This backpack is made of superior 900D Oxford cloth, quite wearable and strong in texture. 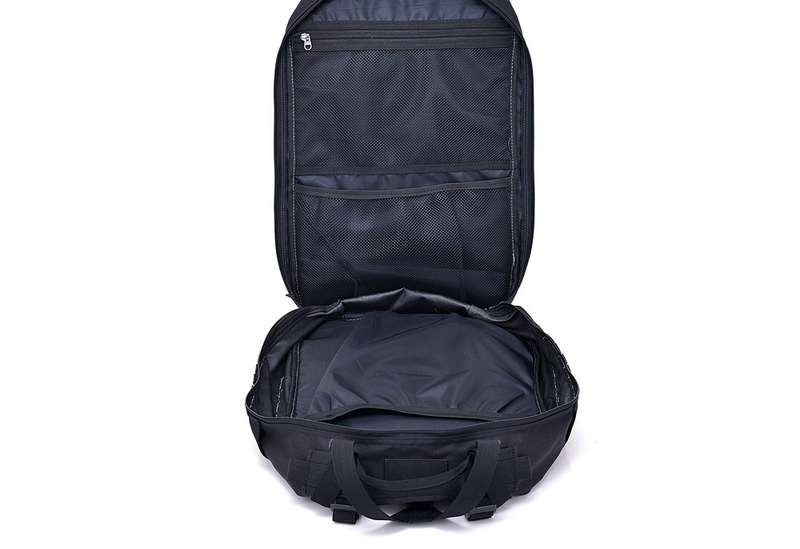 Besides that, a large capacity inner space design is very suitable for several days' walking trip. MOLLE system design on the sides enables you to have easy access to take along with necessary equipment for coping different emergencies. 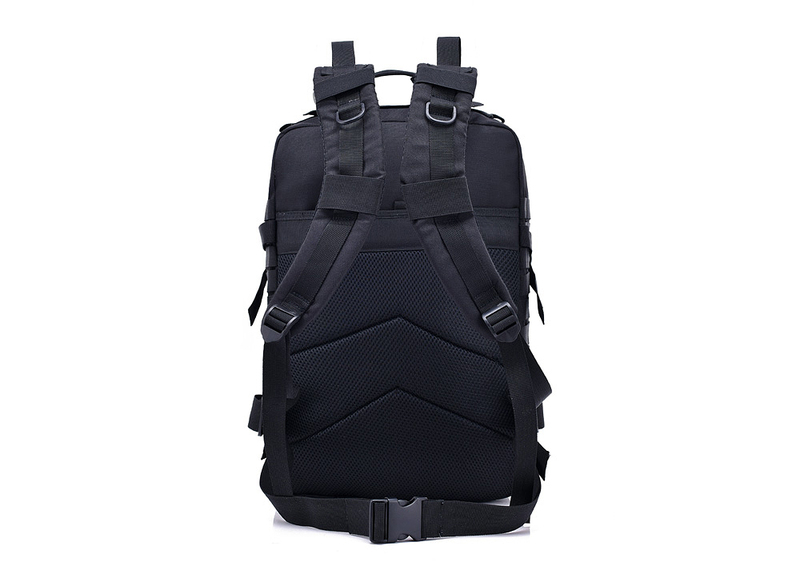 With high strength shoulder strap and sturdy buckles, this backpack can support heavy weight and be soft and comfortable to wear.You must be like it. It's a perfect item ,it seems well made and holds a lot since it expands nicely. Love this bag it got so many pockets to put stuff in.